Medical Answering Service Oregon - Sunshine Communication Services, Inc. If you are a doctor in Oregon who is looking for assistance when it comes to scheduling appointments, it is time to consider investing in a medical answering service. 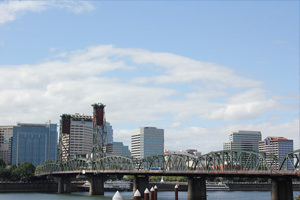 Oregon doctors can rely on Sunshine Communication Services, Inc. when it comes to professional bilingual answering services in the United States. While Oregon is known for the Crater Lake National Park and the Columbia River George National Scenic Area, it is also famous for offering some of the best healthcare services in the country – and Sunshine Communication Services, Inc. is as dedicated as you to keep it that way! We cater to many different types of doctors’ practices within the medical industry, including doctors’ rooms, hospitals, medical offices, and hospices, to name a few. We understand that patients demand a lot of your time, making it nearly impossible for you to take phone calls and schedule your own appointments. Why stress about this when you can simply have Sunshine Communication Services, Inc. and our HIPAA accredited call center agents handle these important duties for you? Our HIPAA accredited call center agents can communicate fluently in both English and Spanish, scheduling appointments without a language barrier. They will forward the relevant information to you to add to your daily planner. As a doctor, you have likely suffered a few sleepless nights worrying about patients trying to get in touch with you in the case of an emergency. With Sunshine Communication Services, Inc. on your side, this will never be a worry again. 24 x 7 after hours answering service. Sunshine Communication Services, Inc. is not satisfied unless we have provided you with the best medical answering services in Oregon. With 40 years of industry experience and a wealth of qualified call center agents, you know that you can count on us to deliver on the promises we make. We provide English and Spanish – bilingual agents. Our agents are HIPAA accredited and our processes are HIPAA compliant for your peace of mind. We offer you a service that operates on a 24x7x365 basis, so you will never miss an important call from a patient! Customized solution designed based on your business needs and budget. For more information about our medical answering services in Oregon and how we can help your medical business, contact us today.